THE BEST SPA WATER EXPERIENCE IMAGINABLE Life is busy, we get it but you deserve to enjoy all the health and wellness benefits you purchased your spa for without the hassle, work, and extra time it takes to achieve soft, balanced, and odor-free water. 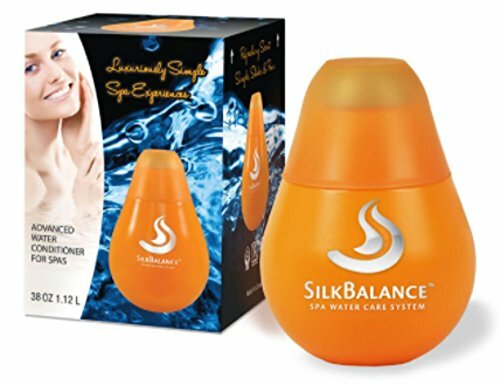 SilkBalance leads the way in premium spa water care with a unique, unmatched, patented formula specifically designed to eliminate the need for excessive chemicals, wasted time, and work involved with traditional or salt water systems. It's all about the water in your hot tub! Without sparkling clear, soft, and pH-balanced water, you will not get all the amazing health benefits of soaking in your hot tub. 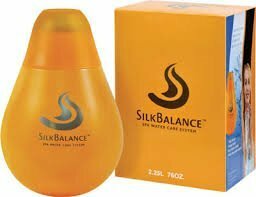 SilkBalance gives you all that in ONE simple step with a product you can trust. LEAVE HARSH CHEMICALS BEHIND SilkBalance is the once-per-week solution that is all you need to enjoy the health and wellness benefits of your hot tub, without complicated chemicals or the hassles of a salt water system. Make the simple step toward Hot Tub Happiness today. ENVIRONMENTALLY SOUND SilkBalance is safer and easier on the environment than the harsh chemicals currently used in the water care maintenance of spas. GREAT WATER MADE EASY! 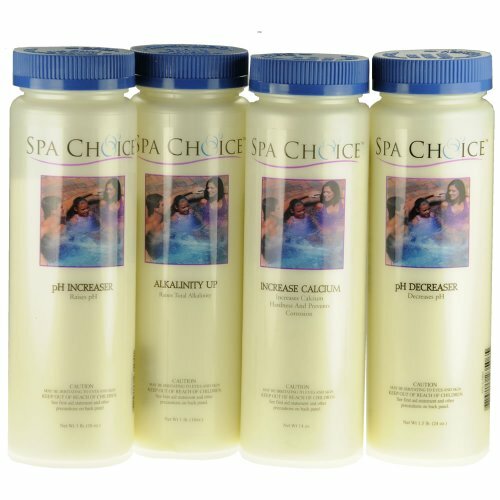 Our Spa Water Balance Pack contains all of the chemicals that you need for perfectly balanced hot tub water. Balanced means that it is neither too alkaline (high pH) which causes destructive scale buildup on equipment, nor too acidic (low pH) which may erode plumbing and cause costly damage to spa pumps, seals and heaters. 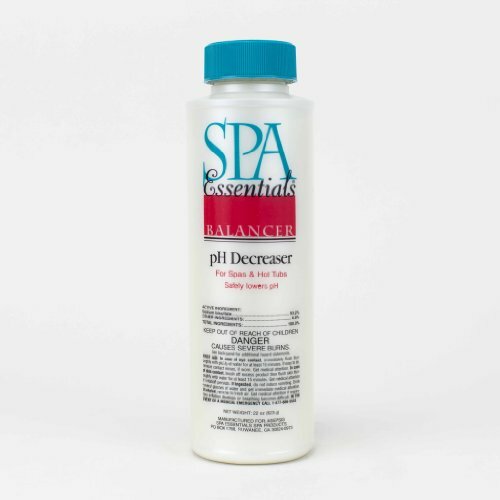 Balanced water has a more pleasant feel to the skin, and allows your sanitizer to work more effectively. Leisure Time pH Balance pH Balance is a unique pH balancer that maintains the ideal pH level between 7.2 and 7.8. Eliminates the need to adjust pH on an ongoing basis. Use each time water is refilled - one bottle treats up to 500 gallons of water. pH Balance should not be used in hard water areas where calcium reading is above 150 ppm. 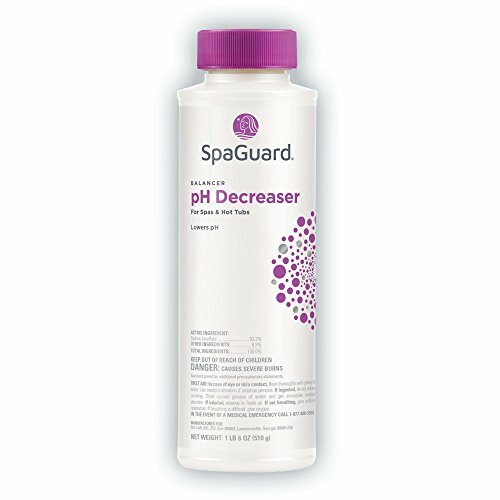 In these conditions, this formula will soften hard water and release calcium into spa water possibly causing cloudy water, scaling and clogging of spa filter. If you are not in a hard water area, but experience clouding of spa water after applying pH Balance, Leisure Time recommends using Bright and Clear to return clarity to water. Compatible with chlorine, bromine, ozone and mineral purification systems. Due to the unique buffering capacity, it is not necessary to adjust the calcium level in the spa. 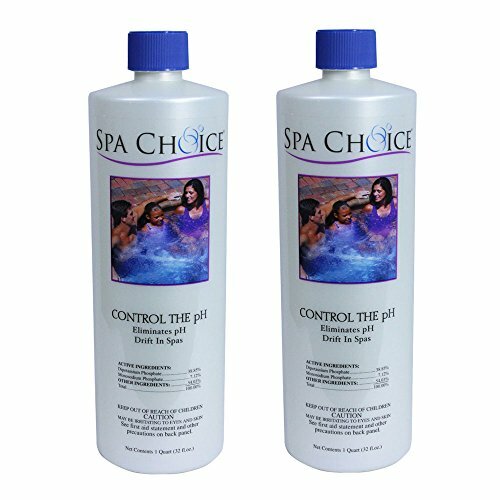 Spa Choice Control the pH helps maintain proper water balance by eliminating pH drift. Control the pH features unique buffering action that allows you to easily and accurately adjust the pH level of your spa or hot tub. Once your pH is at the appropriate level, use Control the pH to prevent it from shifting. Your spa’s pH should be checked regularly for proper water balance. Local water conditions or heavy usage could cause pH to rise or fall. A unique buffering action in the product will allow for easy and more exact adjustment of pH. DIRECTIONS FOR USE: 1. Add only to freshly filled spa water. 2. When filling or refilling your spa, adjust your pH to a range of 7.2-7.8. 3. Add the entire contents of this product with the filter running 4.This product wills stabilize the pH to the correct range of 7.2-7.8. 5. One quart of this product treats up to 500 gallons. 6.If water clouds, run filter for 4 hours and treat with clarifier. NOTE: Not for use in spas treated with Baqua-Spa or similar sanitizer system. PH is one of the most important components of water balance. Water balance is important for the following reasons: (1) prevent disease (2) protect equipment (3) provide the expected environment. Sanitizers work best in water that is properly balanced. Balanced water is more comfortable for swimmers because it reduces unpleasant odor, burning eyes and itchy skin. Balanced water will also help prevent equipment corrosion and/or scale build up. Improperly balanced water can also become cloudy and unappealing for swimmers. 93.2% Sodium bisulfate, 6.5% Sodium sulfate. *Please Note: SpaGuard has a updated look. Same product, same size, new label. 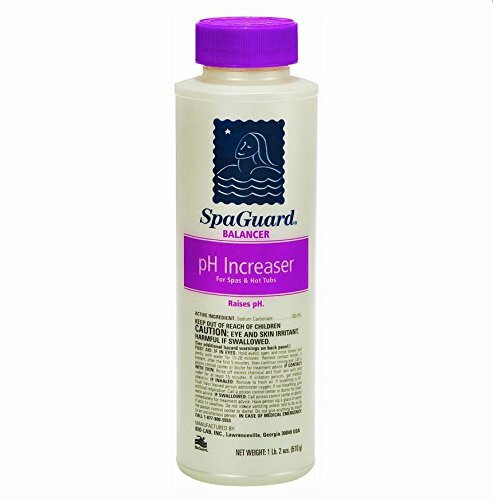 SpaGuard Spa pH Increaser will raise the pH of your spa or hot tub. 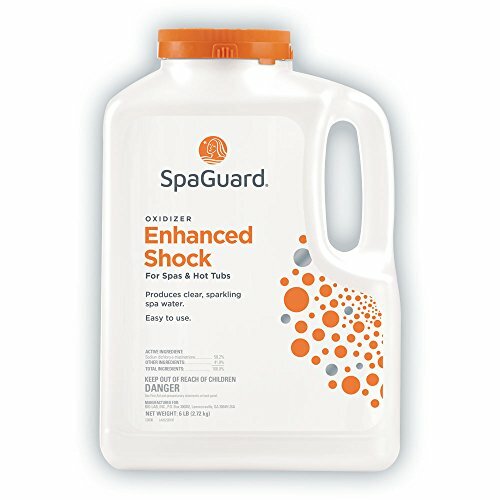 When you use BioGuard® spa care products (SpaGuard® or Soft Soak®), you are enlisting a group of individuals whose expertise is unsurpassed in the spa and pool industry. Whose dedication to helping you achieve perfect water no matter what the individual circumstance is their number one priority. Whose sole purpose is making your spa or pool the most enjoyable and trouble-free experience that you and your family will ever have. Whose dedication to the innovation and history of new product introductions is never matched, but often imitated. This dedication to service and the relentless pursuit of perfect water is inherent in the DNA of every BioGuard dealer. Copyright © Wholesalion.com 2019 - The Best Prices On Balance Spa Chemicals Online.